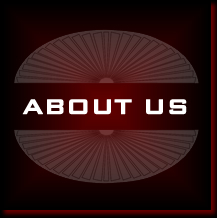 We are a family-owned and operated business located in Las Vegas. We have 27 years experience in the window covering industry. We love what we do and especially enjoy assisting our customers with designs & decor. We thrive on meeting our customers' needs and preferences, as well as enhancing homes to look their very best. We will work with you personally. Upon request, we will offer ideas & suggestions. With hundreds of styles & materials to choose from, you will be sure to get the right window coverings. Please feel free to browse our site. We look forward to serving you the very best in window treatments.